Friend and fellow genealogist Kevin Shue raised the issue yesterday on Facebook. What, he asked, was the first major news story that folks remembered? But for me… for me, it will always be the story of the stars of California — and the time when a new “star” appeared in the night sky. I’ve told this story before3 — that’s why this post is titled a reprise — but like so many stories in our lives, it’s worth retelling. When I was quite young, my family spent a few months in San Rafael, in Marin County, California, when I was in the second grade. I no longer remember exactly what the work assignment was that took my father all the way west from our home in New Jersey. I do remember, vividly, being pulled out of Mrs. Ponder’s second grade class, riding my first airplane across the country, and sticking my toes for the first time into the Pacific Ocean. I remember that we rented a house high on a hill and I remember walking down about a kazillion steps on hillside sidewalks to get to the Short Elementary School… and I remember choosing to walk up the roads on the way back because it was easier than climbing all those steps. I remember that it was winter much of the time when we were there, which means the rainy season. I remember keeping a change of clothes at school because, often as not, we’d arrive drenched to the skin. I remember visits from my Uncle Bill, who was in the Navy. I remember he always brought us presents. I remember the huge dolls he brought us with articulating elbows and knees and wrists and ankles. I remember the police officer who lived down the street whose daughter was a brat — a hair-puller and a biter… but we put up with her because her parents owned something we’d never seen before in our lives: a color television. And how it was, on that television and on our own, that we began the trip into wonder. And, more than anything else, I remember the wonder itself. The wonder of discovering that the universe I lived in was bigger than the world I lived in. Because the months when we lived there in San Rafael were in late 1957 and early 1958. Sixty years ago now. And because I remember being taken out into the backyard, 60 years ago, to watch what looked to me to be a star, moving across the sky. History changed on October 4, 1957, when the Soviet Union successfully launched Sputnik I. The world’s first artificial satellite was about the size of a beach ball (58 cm.or 22.8 inches in diameter), weighed only 83.6 kg. or 183.9 pounds, and took about 98 minutes to orbit the Earth on its elliptical path. That launch ushered in new political, military, technological, and scientific developments. While the Sputnik launch was a single event, it marked the start of the space age and the U.S.-U.S.S.R space race. A newfangled miracle of miracles — a satellite. That moving star was made by people… and it was moving in space. Now I’m not going to get into the question of whether what I saw was Sputnik itself or its booster rocket.5 Whatever it was, I can still remember standing there in the darkened yard in San Rafael looking up at that moving star. And realizing that my world had gotten smaller… and my universe so much bigger. I also remember being taken outside at night by my father to watch for Sputnik. I saw something—whether it was Sputnik or the booster. I remember being outside playing when my mom called us kids in. It was the summer between fourth and fifth grades for me, late afternoon in Southern California, and I was annoyed at having to go inside. “You need to watch this,” she said. “History is being made, and you’ll remember this for the rest of your lives.” That didn’t temper my annoyance, but I sat in front of the TV anyway. I watched as President Richard Nixon resigned as the president of the United States. Years later, as I studied to teach secondary English and history, I began to scratch the tip of the iceberg in understanding the ramifications of what led to Nixon’s resignation and its aftermath. My mom was right. Watching Nixon resign from his office live was an event that I have never forgotten. You are a great deal younger than I am: I was a college graduate by then! I was in Washington DC that day. We were on a family vacation and I was sick and stayed in the hotel room when my aunt and mom turned on the television to watch this event. Judy, I found the replies to the question of the earliest news story people remembered very interesting. 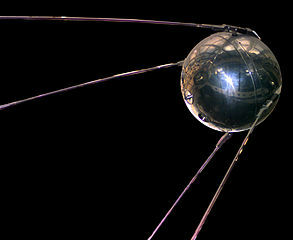 You and I both remembered Sputnik as the earliest in our memories. My family lived in the city of Lancaster, Pennsylvania. I remember that the entire neighborhood turned out for viewing Sputnik. In a way, it seemed as if there was a festive mood. About four or five years later the mood was different, as the Cuban Missile Crisis loomed.